Our friends at UCreative have something new in store for us! They have upgraded their old Gallery into a more exciting platform. You’ll definitely find some cool stuff on this site and some are listed below. What is UCreative and what should I expect? UCreative is a new social network designed for artists and designers. It offers a wide range of tools you can use to interact with fellow designers. First off, the site has a forum where you can freely share your ideas and in return, learn from other creative professionals. This is a great way to learn other designers’ best practices and share your own, or to simply just meet others in the community. You can either join an existing forum thread or create your own discussions. You can even leave a message on other members’ profile pages, just like what you do on Facebook. 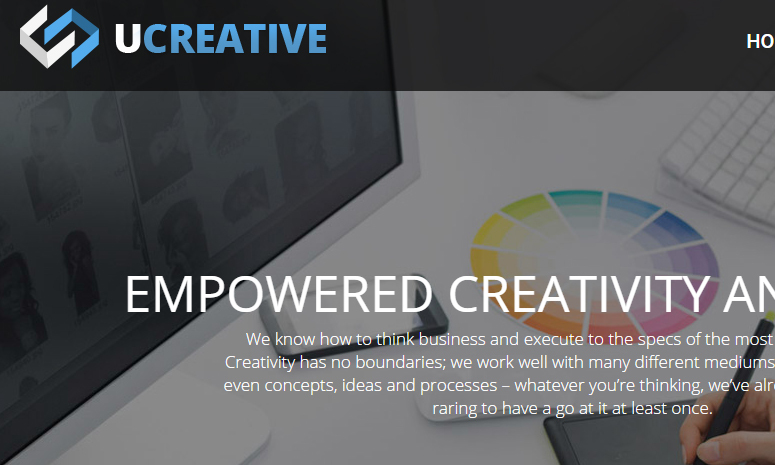 UCreative allows upload of your own content and artwork. You can post your own blog articles and inform fellow members of fresh design news. It’s an easy way to share your knowledge with the community. Likewise, you’ll also have the opportunity to read other people’s ideas. Your artworks, on the other hand, can be uploaded on the site with ease. There are even options to add photos from your Flickr account, or even through your mobile phone. UCreative also features outstanding works on the homepage, which means you get a shot to be featured there, too. You can do a lot of awesome stuff on your profile page. Customize My Page by adding different applications. Poke friends, comment on others’ walls, you can even update your friends by leaving a 140-character status message. Make sure to add the app for chatting with everybody else! To be able to enjoy all these things, be sure to create your own account on the site! Visit and join UCreative now and meet more creative professionals, showcase your own craft and learn from fellow designers!